She is truly a blessing to her very huge family. She has lived long enough to see not only her great grandchildren but also four great-grandchildren. 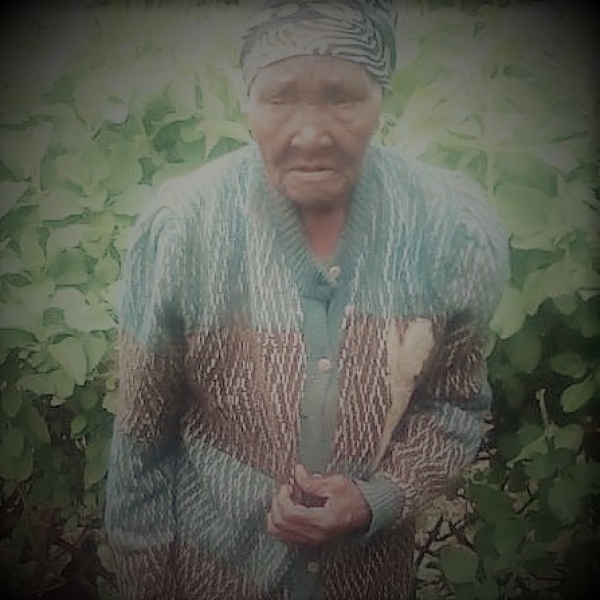 Raising 7 kids on her own through severe hardships alone makes her a very strong woman and God indeed has blessed her for she has lived and still is living long enough to enjoy the fruits of her hard work. I remember the day we all went to visit our grandmother for blessings, the Kenyan way. Yes people do that! It was a beautiful morning and everyone was excited about the day’s activities. I knew that I would finally get to meet almost all of my relatives because well, this was partly a get together. We were supposed to meet at noon, have one huge lunch meal for one huge family, and make merry with our grandma as we, the little kids, played all over the compound. Everyone was able to arrive by 3 o’clock, (African timers is what they are called?) and catch up as we enjoyed the nyama choma, ugali, pilau, among other Kenyan delicacies with music playing in the background. It is a good feeling knowing that one person, our amazing grandma, made it all happen. The darkness started kicking in and after a bubbly afternoon with family and relatives it was now time to ice the cake, receiving our blessings. It is such a big deal getting this kind of blessings from an elderly person especially if they are related to you. We believe that old people can either bless you or curse you so it is appropriate to treat them well and blessings will come your way. We all gathered in our grandma’s compound, everyone excited as we all listened to her speak to us words filled with wisdom and a lot of cognition. She made us laugh amidst her prudent recitation and everyone seemed attentive to avoid missing a thing. She then asked for a glass of water: she would use this for the blessings. She would put some water in the mouth the spit it on everyone’s arms as she murmured some words. It may not be anyone’s preferred way but it is what it is! Saying that she is a blessing is not just a bluff because the number of people that turned up for that occasion was quite large and they were just not random people but her generation. I remember how it felt like: I was scared and delighted at the same time as she spat the water on my little arms and despite my young age I still vividly remember all that went down that day. After she was done she prayed for all of us and people started leaving for their respective homes. That was many years ago and now I am all grown, a proud grandchild and I pray always for God to continue giving you the strength to keep going and to see your generation grow bigger. Being the age that you are and having your own support you the way they do is something that a lot of people don’t have and wish to have. You are the reason we are united because that is what you taught our mothers and fathers and it’s the same way they brought us up. I admire your kindness and compassion that is immeasurable and will extend the same kind of love to my generation to come. I am grateful for you and I pray that you live long enough to receive more blessings and see more of your generation. I love you grandma.